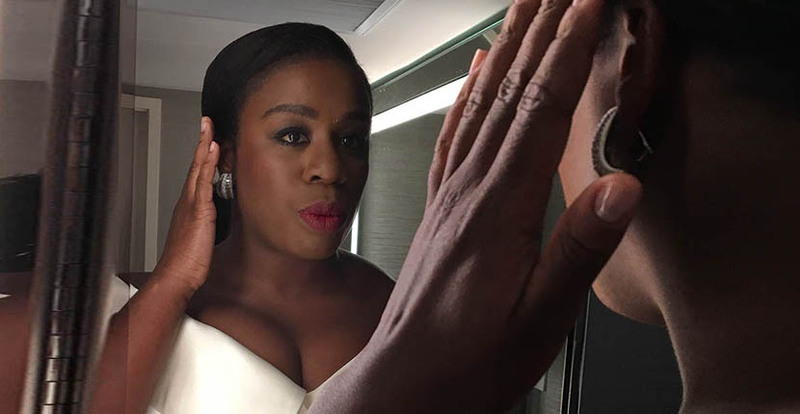 When Uzo Aduba stepped on the red carpet at the 2017 SAG Awards she was a vision of classic Hollywood glamour. 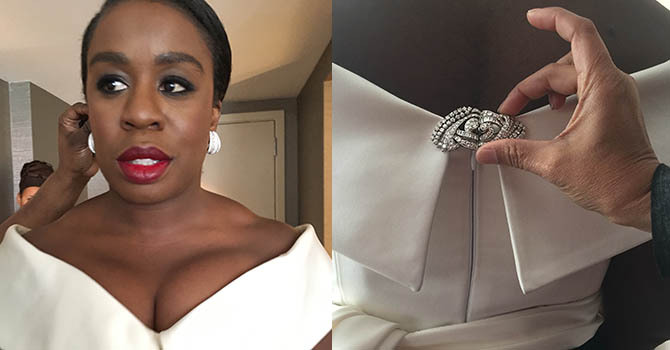 The Orange Is The New Black star wore a stunning custom made white and black crepe gown by Elizabeth Kennedy, the perfect red lip color and selection of elegant diamond and platinum jewels from Lorraine Schwartz. 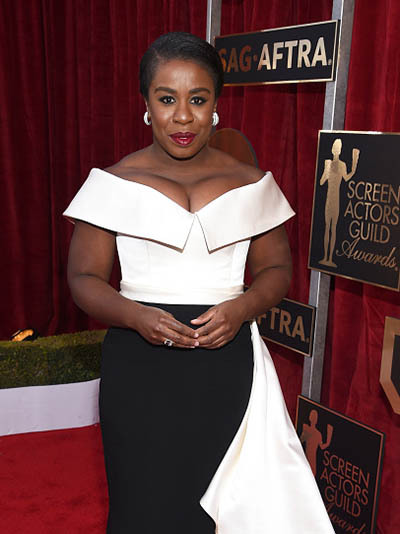 Uzo worked her stylist Cristina Ehrlich and Lorraine Schwartz to put the look together. 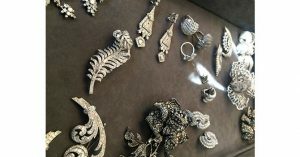 See photos of the process below showing close ups of the jewels Uzo chose from and detail of how she wore them. An elegant accent of the super glam ensemble was the art deco style clip brooch placed at the back of her gown below. Uzo Abuda wore wide diamond hoops and an art deco style brooch from Lorraine Schwartz on the back of her gown.